It is a great time in history to be a scientist. Over the past few decades we have seen brilliant advancements: the development of gadgets and gizmos; new models and maths; laboratories and experiments that could be out of science fiction. Yet, it is easy to see how with such advancements, the art of ‘sitting quietly with a keen mind’, perfected by the great scientists like Darwin and Wallace, might have been lost along the way. Our little group of researchers is fascinated by using that somewhat forgotten technique to answer the questions of behavioural ecology: what behaviours are used for? What are certain behaviours adapted for? How to they affect an animal’s life history? We don’t do this with fancy gadgets or with expensive microscopes. We sit quietly in wooden hides. We use rigorous, structured observations, but without disturbance whenever possible. We let the animals be wild animals. But that’s not all we do. This approach forces us to think outside the box. We’ve been known to jury-rig together a remote-controlled vehicle or two, and there is a paper-mache seal sitting in our lab (more on what these are used for to follow). We collect samples and work with the public. 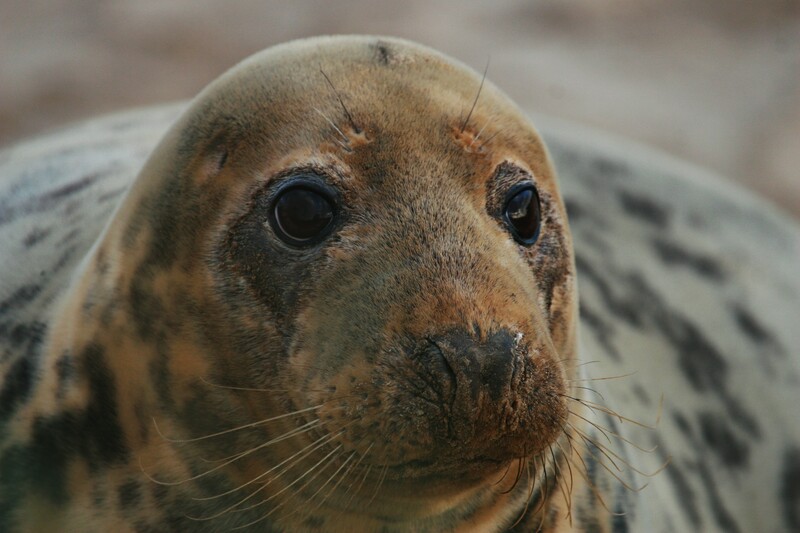 At the end of the day, our underlying and unwavering curiosity for animal behaviour ties us together as a research group and for the past 20 years our research has focused on answering behavioural ecology questions in one species in particular: the Grey Seal. Grey seals are amazing creatures. From first glance you can tell that these animals spend the majority of their time in the water. From their sleek fur, to their perfectly hydrodynamic shape they are truly animals of the waves. However, unlike dolphins or whales—seals have the unique evolutionary history which keeps them tied to the land. Once a year, seals gather in the hundreds at islands and beaches around the UK to give birth, mate then return to the sea. It is the duality of their lives, needing to be suited for two vastly different habitats, which makes them an incredibly interesting species to study. Also, in a time where the news in inundated with stories of habitat loss, pollution, climate change, deteriorating land and oceans, it is even more important than ever to learn about these creatures who face challenges from both sides. There are ancient stories about mythical beings called Selkies: creatures which spend their time at sea as seals and time on land as humans. After a year of working in the lab doing data analysis and writing papers we might begin to feel a bit like a Selkie ourselves. But then the fall comes. We don’t put on a seal skin and join them in the waves, but for two months of the year, when the seals come to land to give birth and mate, we have the opportunity to observe them doing exactly what they do best. They are cold, windy, wet, long days but worth every minute. 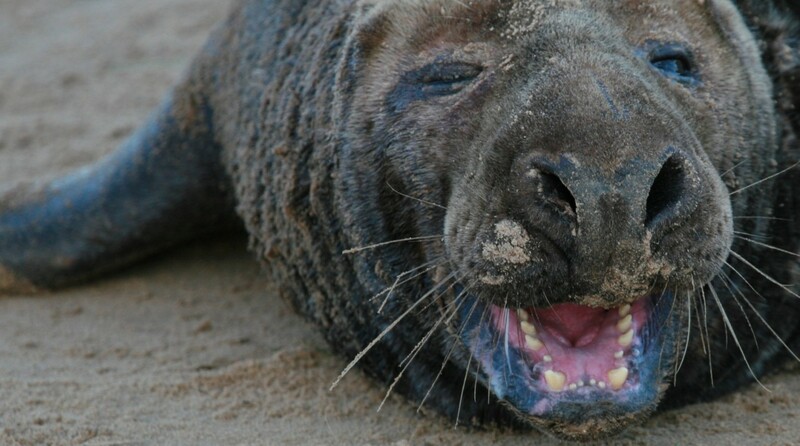 Join us on this website for updates on our research among the seals. We’ll share stories of seals we’ve known for years, provide information on what questions we’re looking into, facts about seals, explain how you can help and for the aspiring student or wildlife enthusiast, give a glimpse of what the life of a researcher entails.